Where is the update for IOS 11.0? I use this app almost every night to find fares in my cab! Very affordable compared to traditional scanners. Very little works with this app. Most feeds appear to be dead. Save your money. 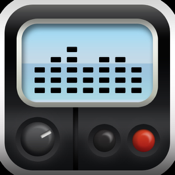 There are much better radio apps out there. This one is a loser. Doesn't work at all with the latest iOS version. Freezes as soon as you open it. Don't waste your time and money. 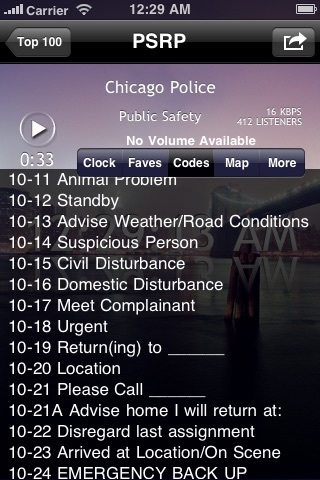 It is a great app for a college student interested in law enforcement. I enjoy listening to local events. This app is not working properly on my new iPhone 6 plus. It worked great on my 4S. I have to close the app to change stations. I cannot save favorites. The download for this scanner must be faulty. I can't save it as a favorite. I have deleted and reinstalled the app at least 15 times and the results are always the same. I downloaded a different one and besides the advertisements, it works great. I would really like to have a refund for the one I purchased. What a rip off! So far I am getting all the southern Utah area. Use it more than any other app. on my phone! Plenty of great radio. Baba Booey! I love this app. I can keep track of what is going on right here in my local area. As usual, another great app...thank Apple! But it no longer works. It opens and looks normal but is totally seized up. I wrote the developers for help days ago and have yet to hear back. This app is awesome. I love the stations i can receive. Lots to choose from. Worth the money. Great app. I listen a lot. And love the non stop tunes. I've had this app for a couple of years and have loved it to listen to my local station until approx. 2 weeks ago. It showed it was off line and now has been removed with no replacement. Why would you remove the station? Clark County Public Safety in Clark County, WA. Awesome Application!!!!!!!!!! Well worth it!! Great app for long island, worked well for hurricane Sandy. Had second thoughts when I saw price - but well worth it. Although I cannot get local scanning, I have enjoyed other locations. I listened to the wild fire in Colo Springs CO and it was interesting. This app may work well in metropolitan areas where there are stronger radio signals. In my small town it does not work at all. This was wasted money. 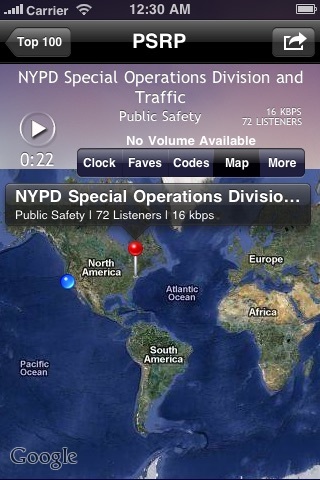 This App portends a useful capability but, in fact, is limited to too few jurisdictions and none in my area. 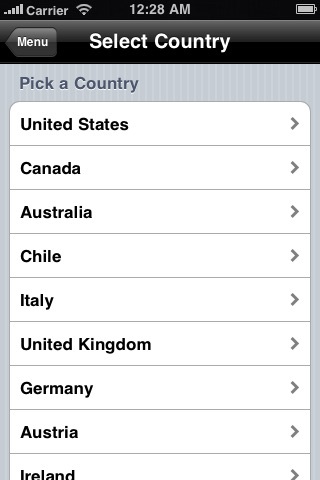 I would ascertain that your required jurisdictions are included before sinking any money in this. Maybe the reason there's been no reviews in years is because the app is crap. Freezes, drops, and very slow. Tells you a station is unavailable and when tap OK, it completely drops out and your back to home screen. I WANT MY $ BACK!!!! Great if you don't want to purchase a scanner. The pit fall is there is a4-5 minute delay in the actual timeline. I found this out standing next to a Police officer. A call went out over his radio, which happens to be one that you can hear dispatch and officer conversation. I said " now how did you p/u that transmitting and I didn't". He said "wait a few minutes" why? You'll see. Sure enough 4-5 minutes later the identical message came through. He told me he had discovered that while off duty, he didn't turn off his radio and had the app on his phone and realized there was a delay. Don't know if it can be rectified, but now I use a $99.00 Radio Shack scanner (non-trunked scanner). Fun app. It performs well. 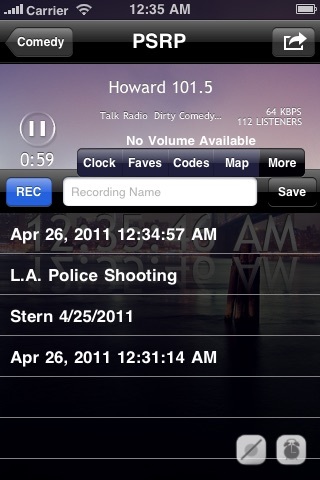 Again, I paid for App Scanner that does NOT pick up any Columbia, SC stations. I am tired of paying for apps that do not provide coverage in me hometown. This app is only a repeater. It relies on people in YOUR area for channels and scanners. Works 5.0 where I live. Love it!! I have carried a trunk tracking scanner in my car for years. This does a very good job of bringing a similar scanner to my iPad. This app works very well. I mainly use the scanner part of this app and as a firefighter it gets clearer RX than my Uniden Bearcat. Got this app based on reviews and the fact that I can access music. The scanner works fine although there seems to be very little going on, but whenever I open a music station my screen freezes and I have to close the app completely. Any ideas? Warning: does not work on iPhone 6. Locks phone up and restarting phone seems to be only way to move on. Don't get it app because it doesn't work! Can't believe I purchased this!